It’s time for Downtown Fresno’s biggest and best annual block party! 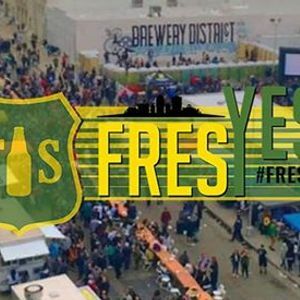 FresYes Fest returns Saturday, March 23 and it’s going to be better than ever. We’re filling the streets with the best live music, food trucks and vendors that Fresno has to offer, all centered about the Tioga-Sequoia Brewing Co. beer garden at Fulton and Inyo. Oh, and of course there will be plenty of that great T-S beer. You can expect more than 10,000 people, dozens of food trucks, a full day of live music, plenty of vendors and exclusive beer releases. 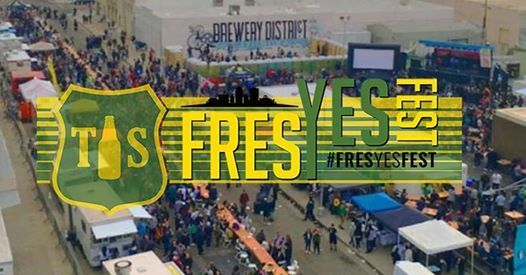 We’re expanding the festival grounds again to accommodate more people and make FresYes Fest 2019 the most fun you’ll have this year in Downtown Fresno. Best of all, FresYes Fest is free to attend and open to all ages. Keep an eye on this page for our beer and food truck lineups. And tell your friends, because they’re not going to want to miss FresYes Fest 2019 either.